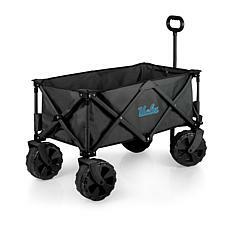 UCLA fans will love all the UCLA merchandise that HSN has available to them. For those fans who love guzzling down their favorite drinks during game time, HSN has stainless steel tumblers available in a variety of colors. Enjoy your favorite cold or hot drink on game day with these stylish tumblers. 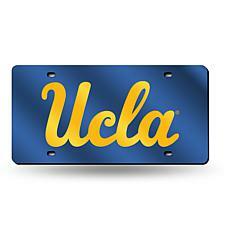 Let everyone know in your city who you root for on game day with a UCLA license plate available in blue or silver. This UCLA Bruins gear will be the talk of the town after numerous drivers get stuck behind your vehicle during rush hour on the 405, for example. The drivers behind you won't forget staring at the letters of your favorite team after a long day at work and time on the road. There is other UCLA gear available, such as a wallet embellished with the college's initials and conversation-starting hover helmet. 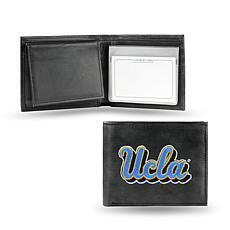 Next time you purchase gear at the souvenir store, show your team spirit by pulling out cash or a credit card from your UCLA leather wallet. 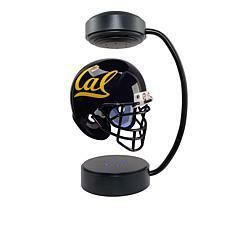 To begin conversations about which team will win on game day, don't forget to display your hover helmet on your desk at the office. 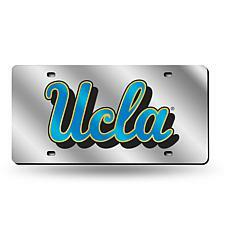 Whatever you end up choosing to buy, you can get all your UCLA gear at HSN.